A maximum of 40 teams of middle school, high school and marine technical school students will attempt to build sea-worthy vessels on Saturday, April 11 using simple hand-tools and only the supplied materials of plywood, 3M 5200 fast cure caulk and zip ties. Once the boats are complete students will then paint and decorate their boats. 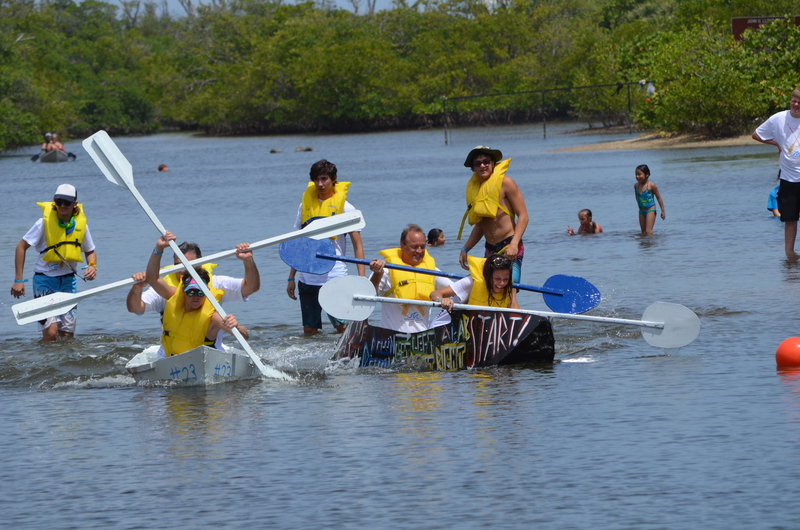 On Sunday, April 12, participants will compete in a fun-filled and friendly rivalry when the finished, decorated boats line up and race in a series of heats to determine an event champion. All Plywood Regatta proceeds benefit South Florida’s marine industry education programs and the Plywood Regatta Scholarship Fund. The aim of these programs is to encourage marine education and develop students’ interest in the marine industry, something that Outer Reef Yachts strongly encourages and consistently supports as much as possible.